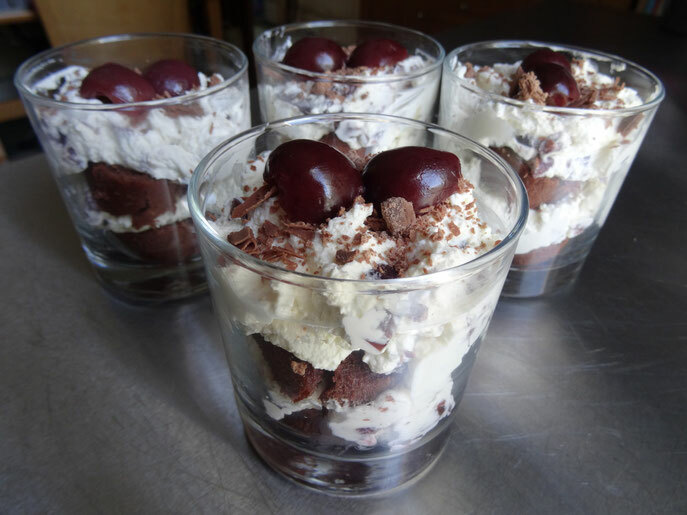 One of my all time favourite cakes/desserts is Black Forest Gateau & I came up with this quick & easy pud whilst reminiscing about it one day! Enjoy! 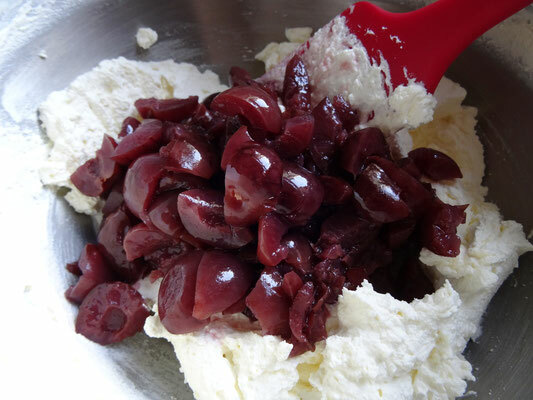 Put 4 cherries to one side & roughly chop the rest. Whip the cream until thick then gently fold in the chopped cherries. 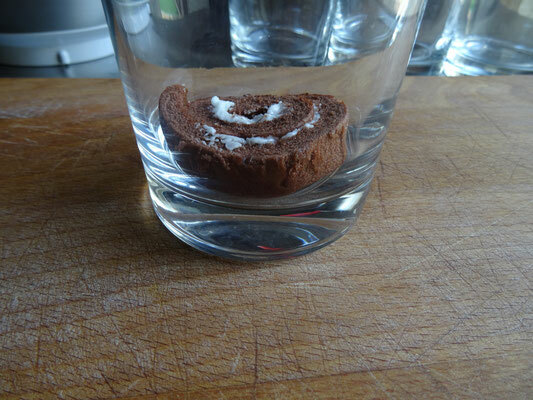 Slice the swiss roll into 8. 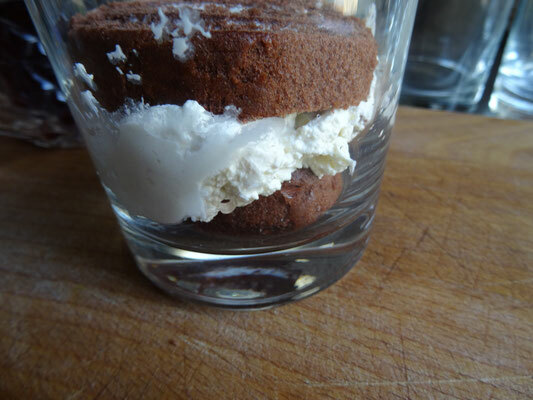 Place a slice of swiss roll in the bottom of a glass or serving dish & pour over a little of the cherry syrup. 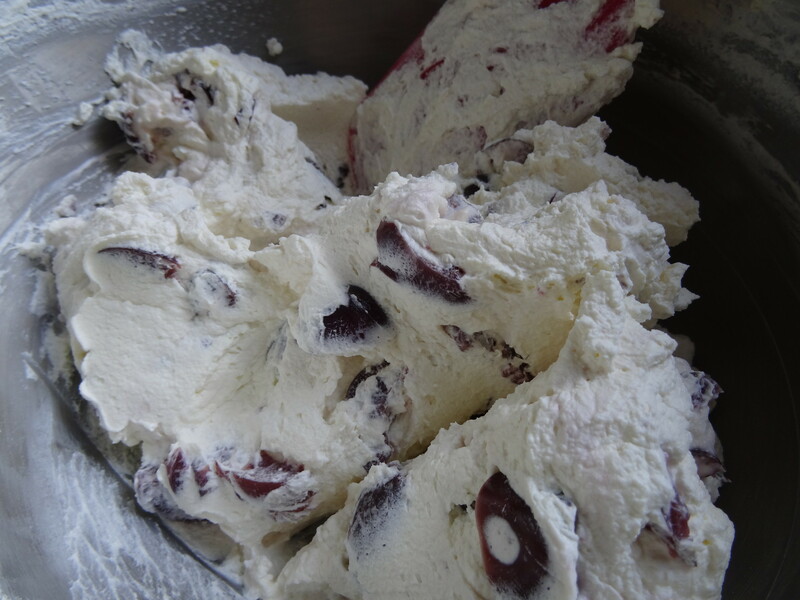 Spoon some of the cream & cherry mixture on top. 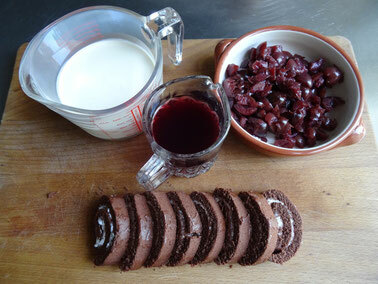 Repeat then decorate with some grated chocolate & a whole cherry.